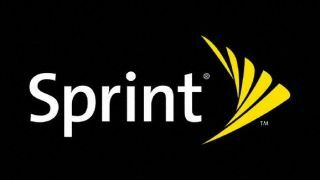 Sprint could develop its own NFC-based digital wallet, according to a batch of recently leaked presentation slides. The slides suggest that Sprint is seriously considering launching its own competitor to Google Wallet, a service the carrier has collaborated with in the past. For some time, Sprint was the only U.S. carrier to offer its customers access to Google Wallet, although Verizon's recent 4.0.4 update reportedly made the Google Wallet app accessible on Verizon Wireless's Galaxy Nexus. Regardless, Sprint could cut ties with Google Wallet as they launch their own digital wallet service, called Touch Wallet. Touch Wallet will reportedly require a 4-digit passcode to open, and it will allow users to tap the phone on a credit card reader to open up a list of available payment options. Sprint could partner with McDonalds, Starbucks, Target, Macy's, Barnes and Noble, Best Buy, and more companies, though the logos seen in the slides could be mere examples used by Sprint in the presentation and not indications of companies that are actually on board. Questions that remain include which banks will become involved and what security measures will be in place to prevent the service from being hacked. If Sprint does launch Touch Wallet, they'll no doubt break ties with Google Wallet, likely leaving that service floundering without a significant presence on mobile devices. J. Gold Associates analyst Jack Gold believes that Sprint would be better off remaining in league with Google. "Sprint is already fairly dependent on Google from the perspective of Android," he told TechRadar, so "we'll see if they actually can do that." He added that they'd be better off simply creating their own version of Google Wallet that distinguishes itself as a separate platform but uses Google's service as a core. "For Sprint to try to go out and do their own wallet," he said, "to me makes very little sense." "I think ultimately wallets are going to be one of those things like web browsers, where there's lots of them out there, and no one really buys - you know, no one gets 100 percent of the marketplace," he added.